Our new biodegradable clumping cat litter. 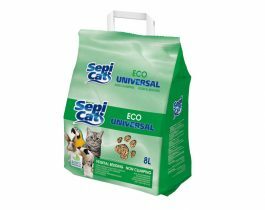 Sepicat ECO Comfort is a 100% natural clumping cat litter, made of natural pure plant fibres which are highly absorbent and deodorizing (natural wood scent). 100% biodegradable and can be used for composting once the feces have been removed from the litter box.